At Atonement | Kids, we want kids to have many opportunities to learn and grow in their faith. We offer two learning programs for kids to learn; Atonement | Kids Sunday School and Atonement | Kids Club. In all age levels, the Bible is taught through creative storytelling, fun and energetic music, and small group activities. Throughout the year, we also host different events meant to enrich kids’ lives and help them explore the Bible in a new way. Atonement Kids 2018-2019 Registration is now open! Follow us on Facebook to keep up with all things Atonement | Kids! Sunday School is held from 9:30 A.M. to 10:30 A.M. during the school year. 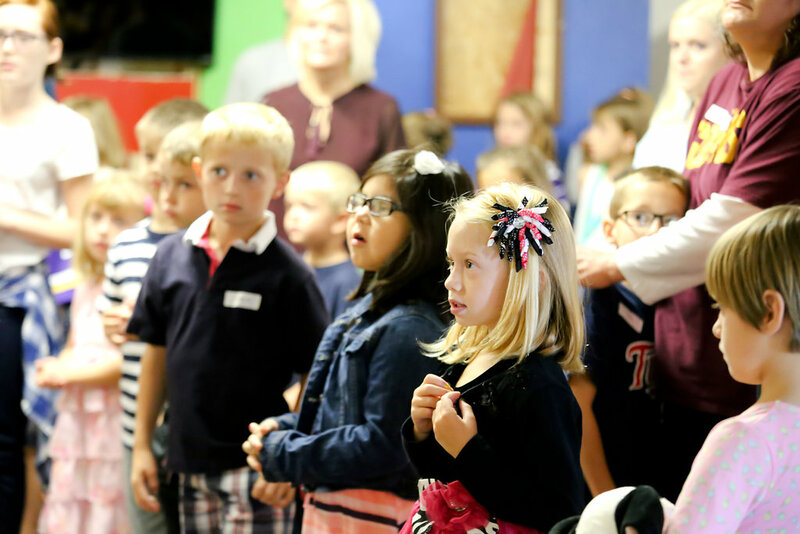 During this hour, children ages three-years-old through 5th Grade learn about the people and smaller stories that are all a part of God’s Story. Children worship and learn through skits, videos, storytelling, and activities. Three year olds must be bathroom trained before enrolling in Little Lights. Atonement | Kids Club is held Wednesday’s from 6:30 P.M. to 8:00 P.M. during the school year. During this time children will learn the foundational truths of the Christian faith through thematic lessons. Time will be spent in worship, learning, and fellowship.